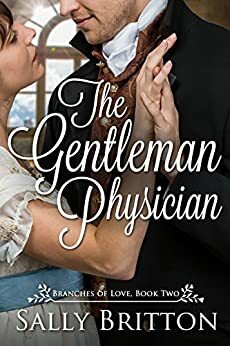 The Gentleman Physician: A Regency Romance (Branches of Love Book 2) - Kindle edition by Sally Britton. Literature & Fiction Kindle eBooks @ Amazon.com. A broken heart and past regrets keep a physician and spinster apart, but a second chance at love may heal them both. Banished from home by her angry father, Julia Devon travels to Bath to fulfill her role as family spinster by assisting her cousin, Lady Heatherton, in caring for her dying husband. Julia knows she must make plans for her future, as she refuses to go back to her father's home. Nathaniel Hastings’s life runs in a predictable pattern, until a routine visit to one of his ailing patients brings him face to face with Julia. She broke his heart five years before when she turned away his offer of courtship, and he hasn't been able to forgive or forget her. Julia and Nathaniel find the spark between them very much alive as they work together to tend to the family’s needs, fend off Lady Macon’s scheming brother-in-law, and avoid confronting the pain of their shared past. But could this accidental meeting be their second chance at love? ...and Book 6 will be available in Spring 2019. I enjoyed this Bath regency read. It had some really good elements in it. Julia is a strong character with a brute of a father and can't marry the man she loves. Years later they are put together again and you get lots of nice tug at your heart moments. Nathan is a great leading man. These two are all that is proper and the author does a really good job of sticking to the reality of the time. This book had a good old fashioned feel to it and would make a great BBC movie. There is just something magical about this time period and the author captures it so well. This book also has a great cast. Virginia and her sad situation, the Dr.s friend Nathan even the older meddling duchess. The bad guy was sinister but not so out there as to be unbelievable. I am so glad Virginia will eventually get her own story. This was very chaste with no religion. I loved this book. It is my favorite Britton book so far. So sweet and swoony. One thing that made this different is that so much of the story is about Julia's cousin and the loss of her husband (which made me cry). So while a lot of emotional energy is spent on that story we still spend energy hoping for Julia and Nathaniel but we don't spend so much energy dwelling on their angst. I love how the two stories balanced each other. The whole time I was reading it kept reminding me of Persuasion and it wasn't until the end that the author's notes clarified that it was indeed inspired by Austen's fantastic novel. There were plenty enough differences that it was obviously not a rewrite of Persuasion but it had the same second chance at love in its story and the same Austen-like feel. No wonder I loved it. I loved all the main characters and almost all the minor characters as well. Can't love Mr. Macon. Horrible man. But everyone else was good and kind and lovable. Even the staff were good, loyal and supportive. Society doesn't play much of a role in the story so there isn't even snotty people who think they are better than others to dislike. I guess we can dislike Julia's father also but we just hear about him and never really meet his awful self. I really can't think of anything I didn't like except a couple things. The death was sad and made me cry. It was heartbreaking reading the Baron's farewell scene with his young sons. So touching. But I would never want to take it out of the book. I just didn't like feeling sad and crying. And the other thing would be that I would have loved to see the court fight with Mr. Macon play out and him get put in his place. I'm sure it would have detracted from the love story wrap up but still the vindictive part of me would have loved to see it happen. Miss Julia Devon heads to Bath in order to assist her cousin, Lady Macon, in her husband’s declining health. Their physician, Nathaniel Hastings, just happens to be the man Julia fell in love with during her first London season. They are frequently in each other’s company since he tends to Lord Macon. My reason for 4 Stars- there is a mention of a guardianship issue but it was never brought up later in the book. I would have also enjoyed a follow up of Lady Macon at the end. Doctor Nathaniel Hastings has a satisfying practice in Bath. He enjoys helping others, even when the patient will not recover. He only wishes his heart would recover from its disappointment. He has tried to get over her rejection, and thought himself successful until Providence stepped in with other plans. 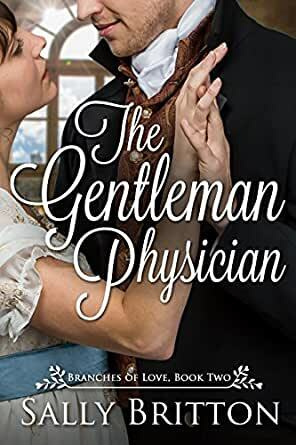 The Gentleman Physician by Sally Britton is a sweet and clean Regency romance. Set against the quiet backdrop of Bath, Julia and Nathaniel must deal with their immediate duties, as well as their feelings for each other. I truly liked both of their characters, as well as the well developed supporting characters. Although the pace was slow, the descriptive writing helped to keep if from being boring. I like that this author is true to the period in both dialogue and customs. I also was please with the satisfying ending. This is a stand-alone that is suitable for any reader over 12. Although Julia and Nathaniel's story is complete, for an ending to the secondary story of Lady Heatherton, you will need to read The Earl's and His Lady. Having read the prequel novella to this series, as well as the first book, I would say that the author's work improves as the series progresses and I look forward to reading more. This has been my favourite instalment thus far. The characters engaged my attention and the story was compelling. The author offers up many historical details woven into the story. I appreciate both her thorough research and how the details are integrated in an organic way that fits the story. 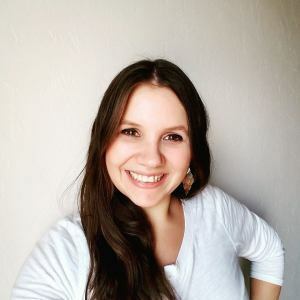 In the previous novel, I was disappointed to see the author's error with a character's title, and I am led to believe that she perpetuates that error later in the series. In this novel, I am pleased to say, I did not note the same error occurring. This novel is highly recommended. This is a tender love story about two couples. Mrs. Britton says that the question she's always asked is what happens to Virginia. The Earl and His Lady, another very romantic story, answers that question, so though The Gentleman Physician has a satisfying happily-ever-after ending for the physician, the other couple has an ending that leaves room for more in this family series. Be sure to read this story first. Thank you for another very entertaining afternoon, Ms. Britton.